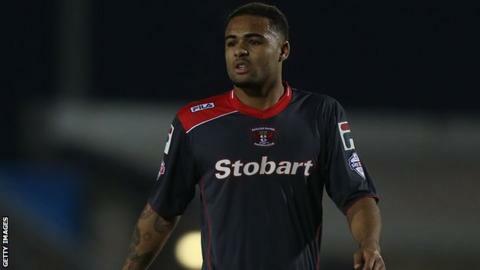 Defender Courtney Meppen-Walter has terminated his contract with League Two club Carlisle United by mutual consent. The 21-year-old signed in November 2013 following his release from prison after serving half of a 16-month sentence for causing death by careless driving. The former Manchester City player has not featured for Carlisle this term, but made 21 appearances last season. "He's at an age where he needs to be playing football," manager Keith Curle told the club website. "He has an opportunity now where he has no ties or strings attached, and he can go out and offer himself to those clubs he feels he wants to target, so that he can get to play the amount of football he wants to be playing."